He was here for just one year—but what a year. 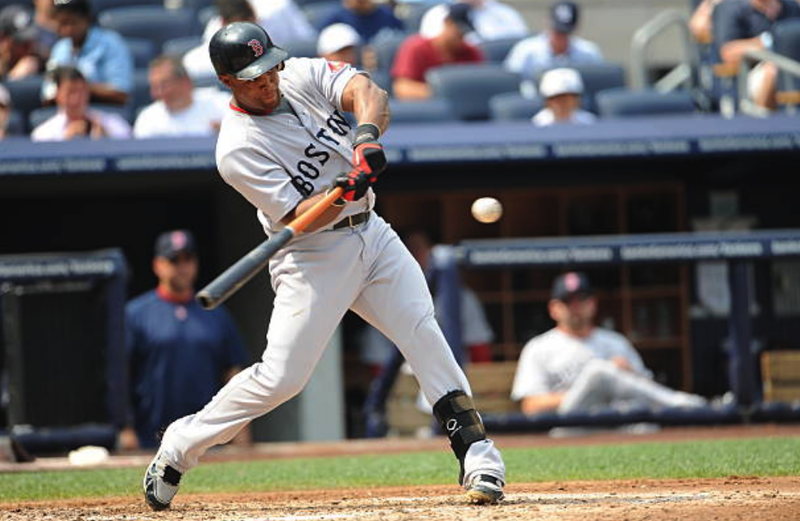 Adrian Beltre hit .321 with 28 HRs and 102 RBIs for the Red Sox in 2010. He finished in the Top Ten of AL MVP voting that season. So, of course, in one of their few truly bad moves, the NOG (New Ownership Group) let him walk in free agency. While there was a player option for 2011, the general consensus was that Sox ownership did not seriously make an attempt to sign him. So, the Rangers inked Beltre to a five-year, $80 million deal—just $16 million a year that (apparently) John Henry could not part with. Since then, Beltre has 'only' hit .304, with 199 HRs and 699 RBIs—not to mention four All-Star appearances and three Gold Gloves. Over his full 21-year MLB career, he hit .286, with 477 HRs and 1,707 RBIs. Beltre announced his retirement yesterday—and he will be a slam-dunk first-ballot Hall Of Famer in five years. Beltre is one Hall Of Famer the Red Sox let get away. Too bad. Otherwise, we might have affixed his #29 on the left-field façade at Fenway someday.